A legislative panel will continue to study the idea of giving local municipalities in Wyoming the ability to impose new, voter-approved taxes to replace the funding they now get from the state. The Joint Revenue Committee has been tasked by the Legislature's Management Council to consider the idea during its interim meetings starting next month. "They are looking ahead, and they are saying there is going to be a time where we don't have these direct distributions coming back to local governments anymore," Revenue Committee co-chair Rep. Mike Madden, R-Buffalo, said. Local governments have been receiving aid from the state for years. During the 2018 budget session, the Legislature authorized the state to disperse $105 million in direct distribution funding among local governments over the next two-year budget period. 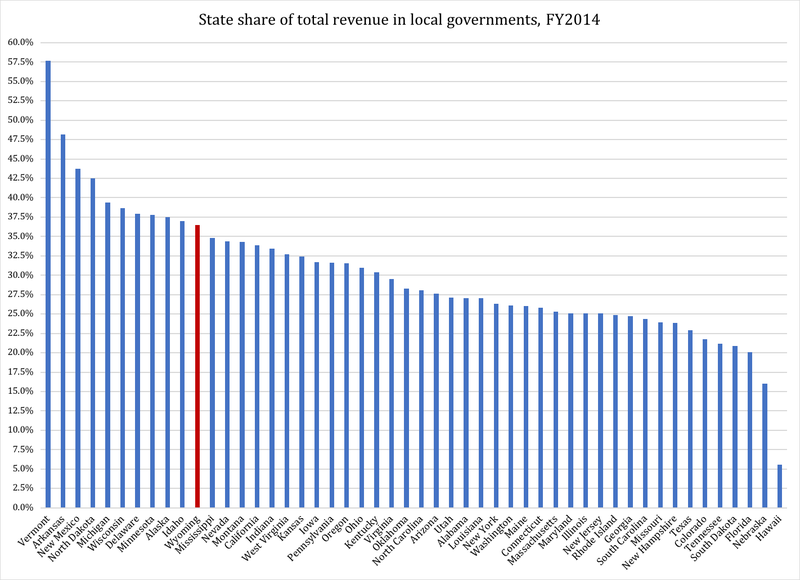 However, a downturn in state revenue from mineral extraction in revent years has left the state spending more than it is taking in from taxes on energy production. Rick Kaysen, the executive director of the Wyoming Association of Municipalities, said his organization has been pushing for the Legislature to allow municipalities to create their own tax options for the past few years. The organization released two reports that determined Wyoming municipalities are more dependent on state aid than the municipalities in every other state in the country. Which adds up to 75 percent. The rest, says the Wyoming Association of Municipalities (WAM), comes from "miscellaneous revenue", property taxes, other taxes, licenses and fees. Here is a question (no, not the one I mentioned earlier - we will get back to that one in a moment): who collects the property taxes, other taxes, licenses and fees that WAM says local governments somehow get their hands on? According to them, it is not the federal government, not the state and apparently not the local government either. But some government has to collect them - by definition, in fact. Is it the Klingon empire? Putin? The Chinese? And how can anyone report "miscellaneous revenue" as falling outside of federal, state and local government's jurisdiction? What are these revenues? Voluntary donations? Even if it is revenue from government businesses, those businesses are owned by some government entity - or else they would not be government businesses - and that owning government is then the one that collects the revenue. Besides, the report specifically states that the non-government revenue is "non-enterprise revenues". And nowhere does it systematically report data that validates Rick Kaysen's claim. There may be another report that he is actually referring to, though if there is, it does not appear to be available on the WAM website. 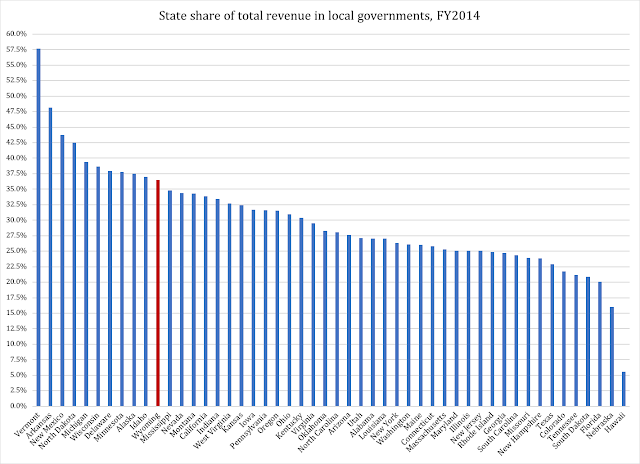 With 36.5 percent of local government revenue coming from the state, we are 8.1 percentage points above the national average. But we are also 7.3 percentage points better than New Mexico, which ranks third in the country. If WAM wants to lobby for the right to draw more blood from local taxpayers, they are of course free to do so based on fact and fiction in whatever balance they want. However, the choice between factoids and fictoids will eventually catch up with them and raise questions about their reliability as representatives of local governments in Wyoming. If they cannot get the facts straight when they advocate for more revenue, we may have to raise a few questions about the reliability of the politicians who use WAM for their lobbying efforts.